We are now taking enrolments for next year’s Foundation classes. Please contact the office to collect your enrolment form or download from link on Menu. Tours are available at 9:30am on Wednesdays and Thursdays. Please contact the office and we can book you in. We are very happy to show you our school and the opportunities and programs we offer your child. Children who have a brother or sister attending the school are guaranteed a place in Foundation. As of 28 February 2018, an Immunisation History Statement from the Australian Immunisation Register will be the only form of documentation accepted as proof of a child’s immunisation status. Documents produced by GPs or other immunisation providers will no longer be sufficient as a form of evidence. This confidential enrolment form asks for personal information about your child as well as family members and others that provide care for your child. The main purpose for collecting this information is so that Donvale Primary School can register your child and allocate staff and resources to provide for their educational and support needs. All staff at Donvale Primary School and the Department of Education & Training are required by law to protect the information provided by this enrolment form. Health information is asked for so that staff at Donvale Primary School can properly care for your child. This includes information about any medical condition or disability your child may have, medication your child may rely on while at school, any known allergies and contact details of your child’s doctor. 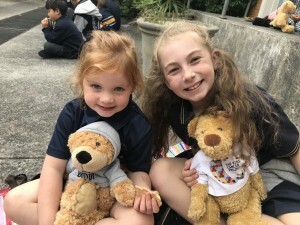 Donvale Primary School depends on you to provide all relevant health information because withholding some health information may put your child’s health at risk. Donvale Primary School requires information about all parents, guardians or carers so that we can take account of family arrangements. Family Court Orders setting out any access restrictions and parenting plans should be made available to Donvale Primary School. Please tell us as soon as possible about any changes to these arrangements. Please do not hesitate to contact the Principal, Lena Clark, if you would like to discuss, in strict confidence, any matters relating to family arrangements. These are people that Donvale Primary School may need to contact in an emergency. Please ensure that the people named are aware that they have been nominated as emergency contacts and agree to their details being provided to Donvale Primary School.